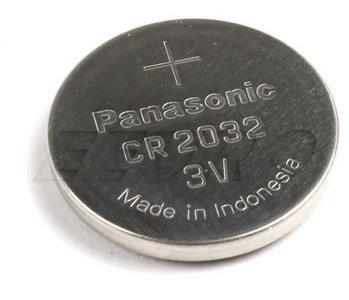 With over 80 years of battery manufacturing expertise Panasonic delivers long lasting alkaline and carbon zinc batteries that feature enhanced shelf life, short circuit safety and anti-leak technologies. Panasonic is THE choice for small cell Lithium batteries; used in a wide variety of devices including key fobs, alarm systems, and other products. Panasonic was founded in 1918 by Konosuke Matsushita as a vendor of duplex lamp sockets. In 1927, it began producing bicycle lamps, the first product which it marketed under the brand name National. During World War II the company operated factories in Japan and other parts of Asia which produced electrical components and appliances such as light fixtures, motors, electric irons, wireless equipment and its first vacuum tubes. After the war, Panasonic regrouped as a Keiretsu and began to supply the post war boom in Japan with radios and appliances, as well as bicycles. Matsushita's brother-in-law, Toshio Iue, founded Sanyo as a subcontractor for components after World War II. Sanyo grew to become a competitor to Panasonic, but was later acquired by Panasonic in December 2009. Now Panasonic is a premier global leader, spearheading the development of smaller, more powerful batteries to provide longer and more capable power to the growing portable device market. If this is not the exact Remote Battery you are looking for, or you would like this part in a brand other than Panasonic, please contact us and one of our customer service experts will help you locate the exact part you need. Allroad Quattro - Wagon - 2.7L 6 Cyl (30 Valve) - Turbo From chassis # 4B-3-000001. Cooper (R56) - Hatchback - 1.6L 4 Cyl (16 Valve) Only for cars with "Comfort Access"
Cooper S (R56) - Hatchback - 1.6L 4 Cyl (16 Valve) - Turbo Only for cars with "Comfort Access"
Cooper Clubman (R55) - 1.6L 4 Cyl (16 Valve) Only for cars with "Comfort Access"
Cooper S Clubman (R55) - 1.6L 4 Cyl (16 Valve) - Turbo Only for cars with "Comfort Access"
Cooper (R57) - Convertible - 1.6L 4 Cyl (16 Valve) Only for cars with "Comfort Access"
Cooper John Cooper Works (R56) - Hatchback - 1.6L 4 Cyl (16 Valve) - Turbo Only for cars with "Comfort Access"
Cooper John Cooper Works (R57) - Convertible - 1.6L 4 Cyl (16 Valve) - Turbo Only for cars with "Comfort Access"
Cooper John Cooper Works Clubman (R55) - 1.6L 4 Cyl (16 Valve) - Turbo Only for cars with "Comfort Access"
Cooper S (R57) - Convertible - 1.6L 4 Cyl (16 Valve) - Turbo Only for cars with "Comfort Access"
Cooper John Cooper Works Clubman (R55) - Hatchback - 1.6L 4 Cyl (16 Valve) - Turbo Only for cars with "Comfort Access"
Cooper S Clubman (R55) - Hatchback - 1.6L 4 Cyl (16 Valve) - Turbo Only for cars with "Comfort Access"
Cooper Coupe (R58) - Coupe - 1.6L 4 Cyl (16 Valve) Only for cars with "Comfort Access"
Cooper Coupe John Cooper Works (R58) - Coupe - 1.6L 4 Cyl (16 Valve) - Turbo Only for cars with "Comfort Access"
Cooper Coupe S (R58) - Coupe - 1.6L 4 Cyl (16 Valve) - Turbo Only for cars with "Comfort Access"
Cooper Roadster (R59) - Convertible - 1.6L 4 Cyl (16 Valve) Only for cars with "Comfort Access"
Cooper Roadster John Cooper Works (R59) - Convertible - 1.6L 4 Cyl (16 Valve) - Turbo Only for cars with "Comfort Access"
Cooper Roadster S (R59) - Convertible - 1.6L 4 Cyl (16 Valve) - Turbo Only for cars with "Comfort Access"
Cooper Coupe (R58) - 1.6L 4 Cyl (16 Valve) Only for cars with "Comfort Access"
Cooper Coupe John Cooper Works (R58) - 1.6L 4 Cyl (16 Valve) - Turbo Only for cars with "Comfort Access"
Cooper Coupe S (R58) - 1.6L 4 Cyl (16 Valve) - Turbo Only for cars with "Comfort Access"
Cooper John Cooper Works GP (R56) - Hatchback - 1.6L 4 Cyl (16 Valve) - Turbo Only for cars with "Comfort Access"
Cooper Roadster (R59) - 1.6L 4 Cyl (16 Valve) Only for cars with "Comfort Access"
Cooper Roadster John Cooper Works (R59) - 1.6L 4 Cyl (16 Valve) - Turbo Only for cars with "Comfort Access"
Cooper Roadster S (R59) - 1.6L 4 Cyl (16 Valve) - Turbo Only for cars with "Comfort Access"
Cooper John Cooper Works (R57) - 1.6L 4 Cyl (16 Valve) - Turbo Only for cars with "Comfort Access"
Cooper Countryman (R60) - Hatchback - 1.6L 4 Cyl (16 Valve) Only for cars with "Comfort Access"
Cooper Countryman S (R60) - Hatchback - 1.6L 4 Cyl (16 Valve) - Turbo Only for cars with "Comfort Access"
Cooper Countryman S ALL4 (R60) - Hatchback - 1.6L 4 Cyl (16 Valve) - Turbo Only for cars with "Comfort Access"
Cooper Countryman (R60) - 1.6L 4 Cyl (16 Valve) Only for cars with "Comfort Access"
Cooper Countryman John Cooper Works ALL4 (R60) - 1.6L 4 Cyl (16 Valve) - Turbo Only for cars with "Comfort Access"
Cooper Countryman S (R60) - 1.6L 4 Cyl (16 Valve) - Turbo Only for cars with "Comfort Access"
Cooper Countryman S ALL4 (R60) - 1.6L 4 Cyl (16 Valve) - Turbo Only for cars with "Comfort Access"
Cooper Paceman (R61) - 1.6L 4 Cyl (16 Valve) Only for cars with "Comfort Access"
Cooper Paceman John Cooper Works ALL4 (R61) - 1.6L 4 Cyl (16 Valve) - Turbo Only for cars with "Comfort Access"
Cooper Paceman S (R61) - 1.6L 4 Cyl (16 Valve) - Turbo Only for cars with "Comfort Access"
Cooper Paceman S ALL4 (R61) - 1.6L 4 Cyl (16 Valve) - Turbo Only for cars with "Comfort Access"
eEuroparts.com® proudly offers wholesale prices and fast shipping available on most orders. 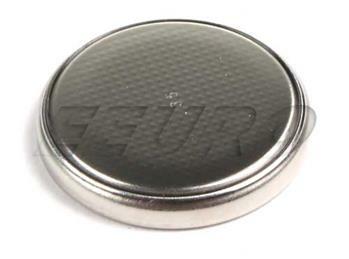 We also provide inexpensive and guaranteed 3 day, 2 day, and Overnight shipping options, so if you need your Remote Battery tomorrow, eEuroparts.com® can deliver! Every eEuroparts.com® order is track-able, meaning you'll know exactly where your Remote Battery is at every step of the shipping process. eEuroparts.com® also displays your Expected Ship Date and transit time in your Cart, making our entire shipping process simple and transparent.